Both of them are literally half the size they were two years ago. He’s lost more than 208 kgs and she lost about 54 kg. This after they met each other at the Mission Fitness gym in New York. 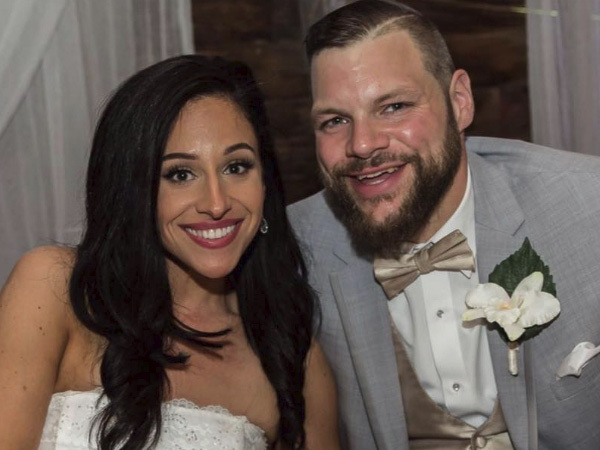 “It’s a match made in heaven,” says Nick Murphy, who was Ronnie Browser and Andrew Masella’s personal trainer and also the best man at their wedding on Saturday in Syracuse, New York in America. “This is a story you could make a movie about!” And the newlywed couple fully agreed with him. “I was depressed, addicted to pills and alcohol, eating 10 double cheeseburgers or two large pizzas at a time,” Ronnie (32) said. Ronnie posted about his weight loss journey on Facebook and Andrea started to follow him. Then in 2015 she actually ran into Ronnie. Ronnie Browser, a bus driver, weighed more 306 kg in 2013 while Andrea Masella, a hairdresser, weighed more than 113 kg in 2014. To shed the kilos Ronnie stopped using alcohol and pills, followed a low carb diet and started exercising. And if the happy couple has children, they’ll teach from a young age how to eat properly and get enough exercise.